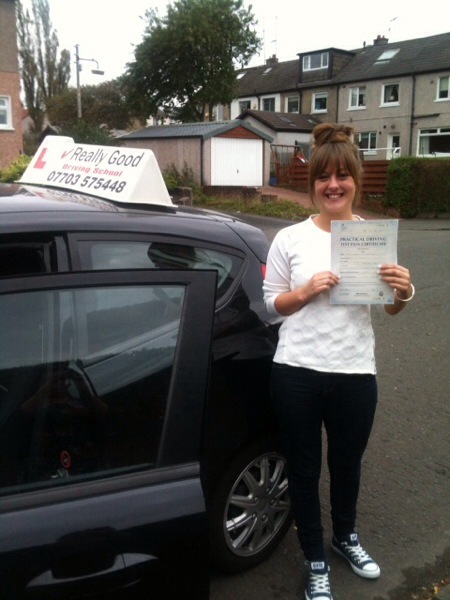 Our Cars Make Glasgow Driving Lessons Easy- And Comfortable! The good thing about learning to drive with Really Good is that the cars are new and in immaculate condition. We keep them that way as we think our pupils deserve the best cars and instructors. Take a look at the “our cars” page on the site for more information. If you are thinking of driving before Christmas, now is the time to take lessons. Next year, you could be heading west from Glasgow, towards Loch Lomond. Thats freedom! Standards Check? We Have it Covered! With the advent of the new driving instructor standards check just around the corner, Glasgow driving instructors need not worry. At “Really Good” our staff tutor and A.D.I. trainer Brett Fairlie is geared up and ready to pass on the skills necessary to achieve a super grade! With a huge amount of speed ramps on our roads in Glasgow, driving lessons can sometimes seem more like an obstacle course! Look out for the white painted solid triangles on the road which mark the ramped area. There may also be warning posts with reflectors on top. Slow down in good time on approach to the ramps. Usually you will need to be at least less than 10m.p.h. to negotiate them safely. Motoring organisations say that punctures and other tyre problems are only next to battery issues in the top breakdown causes. Car makers usually only supply temporary puncture repair cans, or “space saver” wheels. Some manufactures will sell “proper” spare wheels as add-ons. Personally, I think the old spare wheel saves on all the stress of trying to find a tyre fitter – when the temporary repair is useless – on a sunday evening during a driving lesson through Glasgow Westend, who just happens to have your size of tyre and wont cost you a truck of money to come out and solve the problem. We get a lot of enquiries about the regulations over accompanying/supervising learner drivers. Mum, dad, brother,sister, or friend you must be over 21 and have held a full licence in the same category for at least 3 years. Glasgows Best Female Instructor Does It Again! The Clyde Tunnels blocked southbound due to accident. Anniesland Cross and switchback are at a stand still. In peak time traffic, avoid rushing and leave plenty journey time. If you go to www.motoring.gov you will get the chance to practice two theory tests free of charge. Its well worth doing to make sure you are ready, and is invaluable experience of the format. Our Instructors Work on Saturdays – Enjoy a Weekend Lesson at Your Leisure! Enjoy a Weekend Lesson in Glasgow at Your Leisure with our super driving instructors. At “Really Good” we know that our pupils have work and life commitments that make weekday learning impossible. Most of our instructors work saturdays at least; and we don’t charge extra!